Longstanding partnership delivers value across a wide range of Managed Database and BI, Consulting and Support Services. Insure Group Managers and its subsidiaries have a strategic focus on providing financial services for the South African short-term insurance market, including premium collection management, premium financing, niche financial services and tailored financial arrangements to this sector. Founded 25 years ago and celebrating it’s 25 Year Anniversary this year, the company is today directly and indirectly responsible for the management of up to R15 billion of premiums. Insure Group Managers is an independent financial services company, which has proven to be successful in providing trusted and secure relationships to clients, living up to its promise of Comfort, Convenience and Compliance. According to Insure Group COO, Ian du Toit, the company’s collections environment is quite complex, and operates on a number of proprietary systems required to keep it operational. These systems in turn, utilise an in-house data platform consisting of both Oracle and Microsoft SQL Servers. “About 15 years ago, we added Microsoft SQL Server to our data platform and when we did so, Ascent took over the administration and management of all our database systems. Considering that the data and the database systems are vital to what our company does, we didn’t want to put it into the hands of just any company. However, thanks to Ascent’s reputation as a Heterogeneous Database Management Organisation and the fact that they had already been a trusted partner of ours for several years by this point, we were comfortable with them running and maintaining the complete environment,” he says. IT Infrastructure Manager, Herman van Eeden, adds that the Insurance outsourcing area is a fast changing arena and as such, it requires IT systems that can be flexible and adaptable. “To do this would have required a large staff complement and a lot of manual input. Not only would this be time-consuming and expensive, but the potential for errors to creep in was there as well. It was clear to us that we needed to further automate the systems,” he says. Van Eeeden explains that the growth he is talking about is demonstrated by the fact that the database systems used to be accessed by about 30 internal users only, whereas today on the on-line system there are more than 1 000 such users. “Ascent has not only taken over the responsibility of managing our entire database environment, but has also been instrumental in modernising our broader data platform, including assisting us in moving to a hybrid cloud architecture. This has provided us with scalability, flexibility and agility, as well as the automation necessary to eliminate the need for manual inputs. It also delivers the comfort, convenience and security our clients demand,” he says. Du Toit indicates that as a registered financial services provider, Insure Group has a number of obligations related to regulator requirements and legislation. Ascent provides Database Security, Compliance and Monitoring Solutions that offer full audit capability and enable the company to keep up to date with the latest legislation, such as the Protection of Personal Information and the Financial Advisory and Intermediary Services acts. “Security and Compliance is not the only matter of importance for us. The nature of what we do means that it is absolutely critical for us to have fully tested and up-to-date Disaster Recovery (DR) systems in place, as we simply cannot afford downtime. The high availability delivered by Ascent ensures that both our normal operational and our DR processes are robust and effective,” he states. Ascent MD, Johan Lamberts, points out that the Insure Group exists in an interesting space, in that while it is wholly reliant on technology to conduct its operations, this is clearly not its core business. “We are pleased to be the Insure Group’s trusted advisor and long term partner in their business journey. They have always been able to rely on us to provide the skills and expertise needed to ensure their database environment operates at optimum level. Our relationship goes back some twenty years already, and I expect what has been a long and successful partnership to continue for many more years to come,” he says. 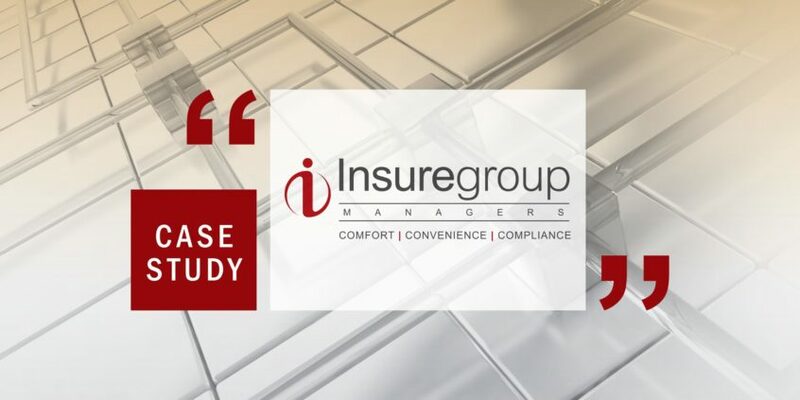 Du Toit adds that Ascent has a respected reputation in the Database Management and Administration space, which compliments the reasons why Insure Group values their partnership so much. In addition, he says, the company brings innovative thinking and strong technical knowledge to the table. “We are now looking forward to taking the next step in our relationship and are in active discussions around moving further to the cloud with Ascent’s help. This will offer our company further increased flexibility, and in terms of the sheer volumes of transactions we handle, will clearly be extremely beneficial to us. We are now focusing on moving our entire data platform to the cloud, and expect Ascent to be with us on this journey, every step of the way,” he concludes.